I am a coleslaw fanatic ... I love the perfect creaminess and dill of a good homemade slaw! But every now and again, I need to change it up and use my cabbage a little different. 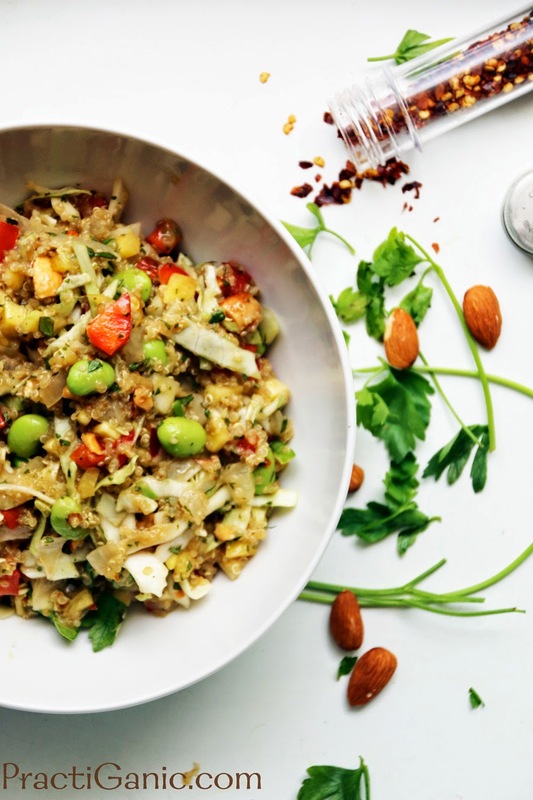 Thai Quinoa Salad is usually my go-to change up. I like adding grains to different salads to change them up and also make them even heartier. A salad that you've been eating for years can change so quickly by adding one thing. This recipe more of a salad than a coleslaw but the cabbage gives it that great coleslaw crunch. Since we first eat with our eyes, all of the colors of the fresh vegetables really make this salad a big hit at parties. Because of this, I usually only add the red pepper flakes when I make it at home. The spice, which is a great touch, can be a little too much for those with sensitive taste buds. Luckily for this salad, there's a lot of flavor going on in the rest of the dressing so it can live without it. Don't forget to try my Creamy Dill Coleslaw too! First make the quinoa. Mix the water and quinoa in a pot and bring to boil. Once it comes to boil, lower the heat and cover. In 10-14 minutes the water should be soaked up and it will be nice and fluffy! Set it aside to cool. In a bowl, whisk together the dressing ingredients. 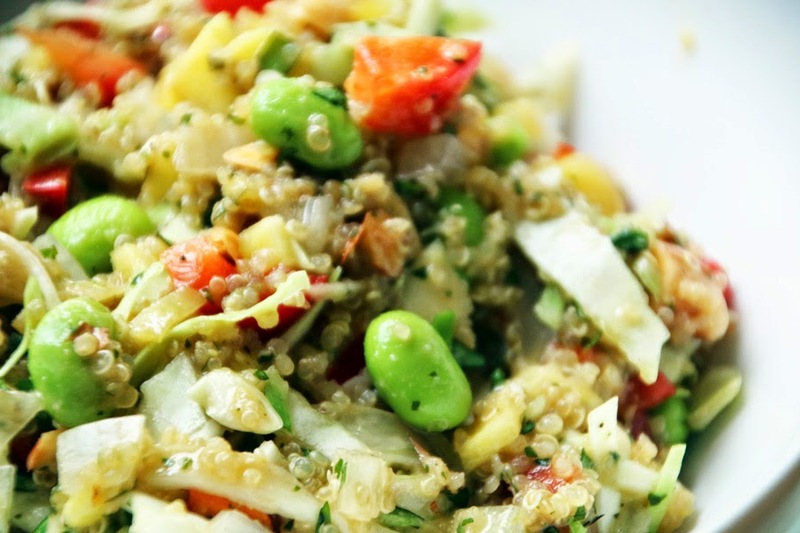 Add dressing to quinoa and mix. In another bowl mix all of your salad ingredients. Add in your dressed quinoa dressing and mix well. Enjoy!